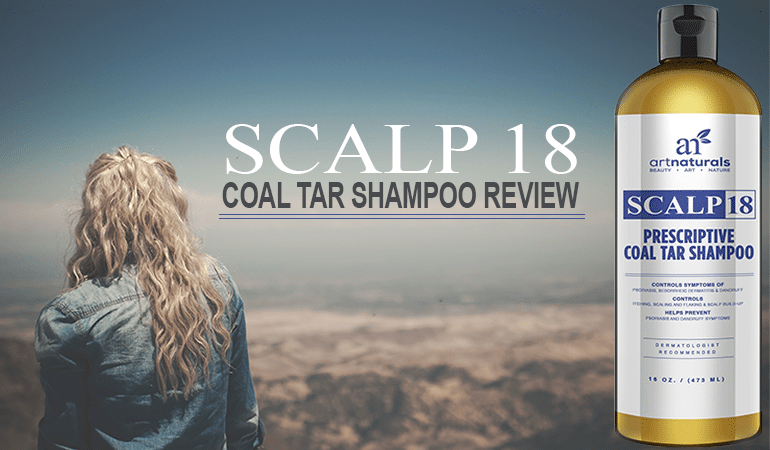 Scalp 18 is a superb coal tar shampoo suitable for sufferers of mild to moderate scalp psoriasis and mild seborrheic dermatitis. The shampoo has been formulated with real imagination and care, showing a deep knowledge of the needs of their target market. If you’re not sensitive to fragrances then I wouldn’t hesitate to recommend this for scalp psoriasis sufferers to try out. It’s a gem of a shampoo from a gem of a company. Scalp 18 is a Psoriasis and Seborrheic Dermatitis shampoo from Art Naturals. 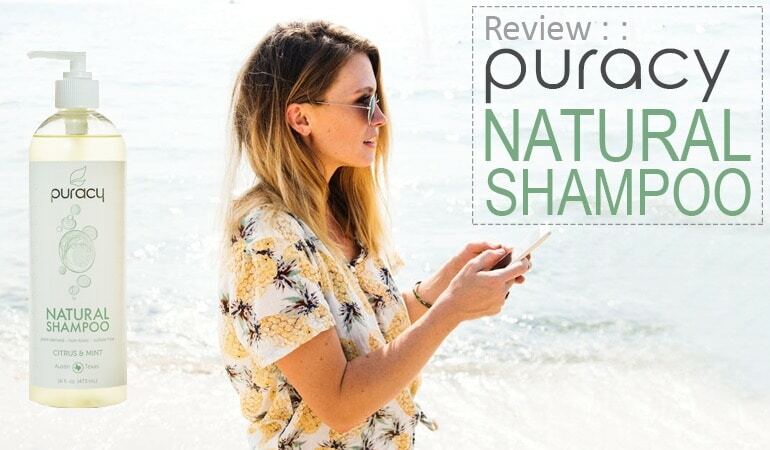 Art Naturals are one of a growing number of manufacturers who are looking at alternative ingredients to treat people’s skin rather than plying their products with cheap nasty and often harmful chemicals. And they publish their values on their website. For that alone, you ought to give them a try. We are committed to creating high quality products that are right for our customers. We believe in complete transparency and value the trust of our customers. Every single product has a full ingredient list, right there on the label. The message is getting through – they actually care what they put on people’s skin! Hopefully, on this very site in the future, I’ll be talking about the bad old days. Days when people used to ply their hair with blue shampoos preserved with formaldehyde and cats urine, laced with hidden active ingredients that they wouldn’t talk about thinking their customers wouldn’t understand. As I mentioned earlier, Scalp 18 is a shampoo to treat dandruff caused by both Seborrheic Dermatitis and Psoriasis. What is surprising, given their core values, is that Art Naturals have chosen Coal Tar (2%) as the active ingredient. Coal Tar has caused a bit of a stir in recent years. It was once one of the most popular treatments for mild to moderate scalp psoriasis. However, in the 1990s, studies appeared linking coal tar exposure to cancer. A number of countries including the EU, China and Taiwan banned the use of coal tar in cosmetics in light of these findings. Coal Tar started to disappear from the shelves. Polytar, one of the most popular coal tar shampoos at that time, was completely withdrawn. However further research found that coal tar in low doses wasn’t linked to cancer. Prompting the EU to overturn their own ruling. Coal tar is a mysterious active ingredient as it contains tens of thousands of potentially active ingredients – the effects of which we don’t truly understand. It does have proven anti-fungal properties that will help control seb derm. Coal tar is ideal for psoriasis as it helps regulate the regeneration of skin cells, combatting the symptoms of scalp psoriasis at the core. It is also a keratolytic agent. These agents are commonly used to treat acne and warts, as well as keeping the skin soft as they exfoliate your top layers of skin. Making them ideal for dandruff sufferers who have a crusty build up on their scalp. As well as this it also has antiseptic properties to help itching and anti-inflammatory properties which will help swelling. That said, it can also irritate some people, especially higher dosage shampoos. And it will increase your skin’s sensitivity to the sun for around 24 hours after application. It’s an unknown quantity in many ways, a really ancient treatment that just works for many of us so I’m delighted to see it back in the frame. It was an invaluable treatment of many psoriasis sufferers in particular. So how does Scalp 18 wash? Scalp 18 is a shampoo with a unique golden color. I hesitate to say tar stained color as I think that’s unfair, it’s certainly more attractive than that. The other downside to coal tar shampoos is that they tend to smell bad. Like really bad. Imagine capturing the essence of tar fumes and distilling them in a shampoo and you’re there. Scalp 18 is different. True, it does have some tar-like odor but its extremely faint. More faint that I can remember in a coal tar shampoo. Heck, it almost sells pleasant. The shampoo washes extremely well with a luxurious foam. Afterward my hair felt clean and soft and I suspected that such a good wash must come at a cost in terms of sulfates and other nasty ingredients. The shampoo is SLS/SLES and entirely sulfate free. In fact, it is free of all but one ingredient that is known to cause contact dermatitis. I’m used to shampoos having a whole host of harsh ingredients to its most welcome to see a manufacturer use their imagination and knowledge to create something so gentle. So with no SLS/SLES, how on earth does this shampoo wash so wall? Scalp 18 contains a really neat and intelligent combination of gentle foaming agents and surfactants e.g. Sodium Cocoyl Isethionate, Sodium Lauroamphoacetate, Sodium Methyl Cocoyl Taurate, Sodium Lauryl Glucoside Carboxylate, Lauryl Glucoside and Sodium Cocoyl Glutamate. I have never seen a shampoo use this combination before but I must admit it works brilliantly. If I were to ever formulate my own shampoo, I’d be inspired by what these guys have dreamt up. Jojoba Oil isn’t really an oil at all but is, in fact, a type of wax. A wax that is incredibly similar to our skins natural oils. As well as being a natural moisturizer, jojoba oils have been used for centuries to treat wounds and it is also a proven anti-inflammatory agent. Lemon Oil has antiseptic properties that can provide immediate relief to the itching you often get from dandruff caused by seb derm, dry skin and psoriasis. In addition, lemon oil can also reduce acne, nourishing damaged skin and hydrating skin. Lemon oil is extremely high in Limonene, a fragrance often used in cosmetics as it smells of lemon. Unfortunately, it known to cause contact dermatitis in some people. The EU forces manufacturers to stipulate if a cosmetic includes Limonene but it appears many are getting around this ruling by adding fragrant essential oils rather than the fragrance itself. Cypress Oil is another fragrant essential oil found in many fragrances. Due to the presence of camphene, the oil has antiseptic properties that can help treat wounds. Argan Oil is a light oil easily absorbed into the scalp. 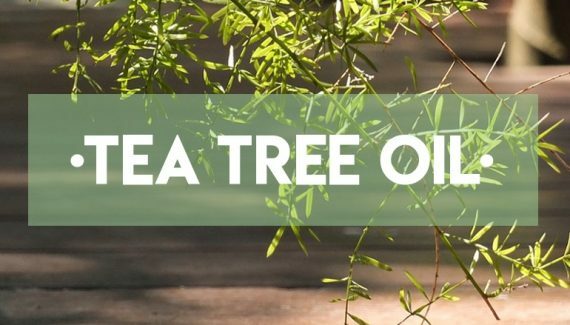 It is rich in fatty acids and contains almost twice as much vitamin E as olive oil. It is rich in saponins, which restore the skin’s water lipid layer so skin becomes instantly hydrated without clogging pores. You’ve likely heard about argan oil for revitalizing hair, but I bet you didn’t know that it can be used to strengthen brittle nails and treat dry scalp, acne, eczema, psoriasis and more. Unfortunately for seb derm sufferers, Argan Oil is 40 to 50% oleic acid – an oil which is known to exacerbate seb derm in sufferers. Some studies claim it’s the chief culprit! Rosemary Oil has been used topically to treat dandruff and other ailments for centuries. The oil is high in antioxidants which can heal dry skin as well as regulate the renewal of skin cells. In addition the oil also has an anti-inflammatory effect on swellings and the presence of camphene gives the oil antiseptic properties. Basil Oil is called the “Mother Medicine of Nature” in India because, as well as tasting delicious, it is known to possess Antibacterial, Anti-fungal, Antioxidant and Anti-inflammatory properties. Will these ingredients help control your psoriasis? 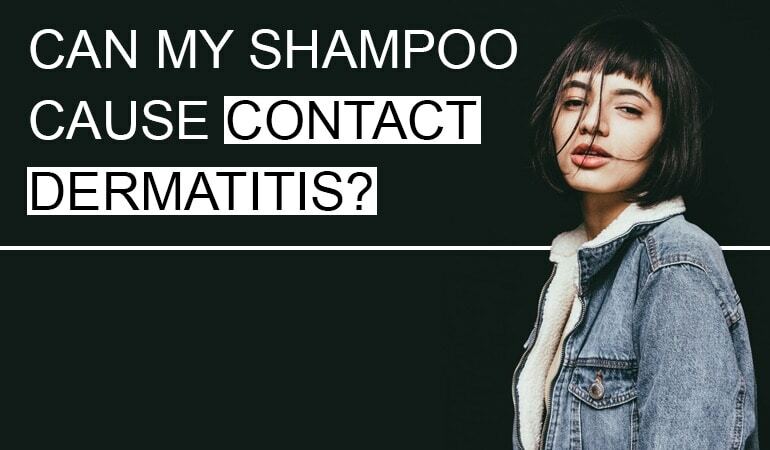 Probably not – coal tar is the only active ingredient in this shampoo. However, the oils can help soothe and nourish your scalp. The one caveat that I touched upon with these essential oils is that, although the shampoo is fragrance-free, these essential oils are certainly not. It’s probably disingenuous to label this shampoo as fragrance-free when it contains so many fragrant essential oils. If you are sensitive to fragrances, I would proceed with caution here. If I were in a position of authority, I wouldn’t allow this practice either – if the shampoo contains fragrant essential oils then it contains fragrances. The one ingredient I do find odd is the addition of Keratin. Keratin is a protein. Sufferers of scalp psoriasis suffer from a build up of the protein during a breakout. Quite why they’ve added this ingredient I don’t know. I’d love to know the science behind that reasoning. That said, this is a superb shampoo, formulated with real imagination and care, showing a deep knowledge of the needs of their target market. I don’t see coal tar in the ingredients of this shampoo. What is the percentage of coal tar? Hi Faith, if you look at the active ingredients its there. No percentages were listed at all on the bottle so I contacted the manufacturer direct and they said 2%. I’ve updated the review thanks! I wish I could answer that ramana. It depends on what kind of dandruff you have and it also depends on you. We’re all different. What works on one person doesn’t necessarily work on another. Has coal tar worked on you in the past? If so, I thoroughly recommend it! Hi, does this get rid of my psioriasis? Does coal tar normally work for you? If so there’s a good chance this will – its a good coal tar shampoo. If coal tar doesn’t normally work for you then I can’t see why this would but I could be wrong. I can’t really answer that sorry. I can only tell you about the shampoo. I am suffering from seborrheic dermatitis.Can I use this shampoo?? You can. The active ingredient is coal tar which can help seb derm. It doesn’t work for me but it has helped many many people. What works on you for your seb Derm. ? Hi, i’ve just bought this product and i’ve used it just one time (so i still don’t know how it will behave on me). My question is: this product claims to be ok on seb derm (which i have), but oleic acid, as you wrote, is known to worse seb derm. What am i missing? Hi Nicola – its all to do with quantities of ingredients in the formulation – something I don’t have access to. If the anti-fungal capabilities of the active ingredient are in abundance and the oleic acid is used sparingly, then the formulation will probably work. I have no access to quantities though, so just make people aware of what ingredients are and the effects of those ingredients. My daughter has psoriasis on her scalp. We tried everything, from head and shoulders to perscription, everything! I found this on ebay, i ordered it for $23. My daughter now has no psoriasis on her scalp and no outbreaks. She’s happy and confident again. This product we highly recommend. This company is a gem. The active ingredient is coal tar which helps a lot of scalp psoriasis sufferers. There’s a ton of other coal tar shampoos out there too! Great news and best of luck!